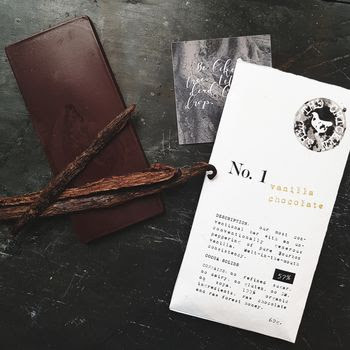 I have just found this small, new business The Chicken Shed, that is passionate about making great tasting chocolate, using only ingredients that do you good (you know as part of a balanced diet of course). They make sure that what goes into their chocolate is as nutrient-rich as possible, and as close to nature as it can be. All their chocolate is organic, contains no added sugar, and all the bars are dairy-free. They use sustainably harvested, raw, organic honey rather than refined sugar and work the chocolate at a lower temperature than is conventionally done so as to keep the nutrients intact. Simple ingredients are artisanally crafted into beautiful raw chocolate, sweetened only with fairly traded, raw honey (with a lower GI than refined sugar) to boost your enzyme and antioxidant levels. So if you love chocolate as much as I do but want to take some of the guilt out of eating it or you have an intolerance you MUST try these sumptuous chocolate bars. 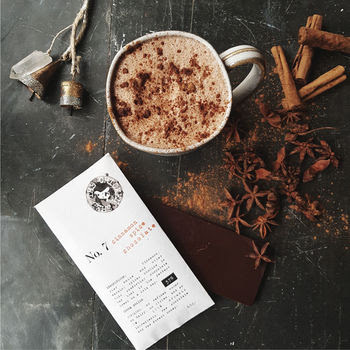 Wonderfully warming flavours based on a pumpkin spice blend have been added to this bar. Perfect for rainy, cold days, when under the weather or just in need of a little comfort. Hailed as one of nature's superfoods, organic bee pollen in this bar provides extra nourishment, texture and sweetness. Particularly popular with children and those interested in superfoods. A rather generous helping of Madagascan Bourbon vanilla packs a sweet punch in this chocolate bar that is particularly popular among children. 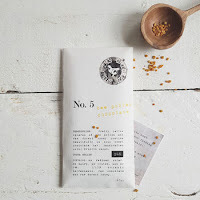 Though this is the most conventional of our chocolate, its high-quality ingredients make this no ordinary bar.